Newark Senior High Classes of 66, 67, 68 - Carpe Diem! 50th Reunion Classes of '66, '67 & 68, June 23 through June 25, 2017! Reunion's over, the doors are closed. Class of 1966 at their 50th Reunion celebration! NHS Carpe Diem (seize the day)! Welcome to the web site for the Newark High School Classes of 1966, 1967 and 1968. Please use this site to get information, communicate with other classmates, learn more about upcoming reunions, and participate in a myriad of other amusing activities. 1. Our Fifthtieth Reunion Committee was formed and plans were set for the weekend of June 23, 2017, with activities planned for Friday, Saturday, and Sunday! So sorry if you missed us. Please wait for the the next one. Questions? Please contact us! We do not give out email addresses or mailing addresses to anyone other than our class representatives or the reunion committee; solely for the purpose of keeping you informed about upcoming class related events. 3. The NEXT NHS Alumni Association All Class reunion will be held on the Saturday after Thanksgiving - that is Saturday, November 25, 2017. Watch here and on the NHSAA Facebook page for more information. 4. We would like to draw your attention to the Alumni Assoc menu item at the left hand side. When you select that item you are taken to the MERCHANDISE display for the Newark High School Alumni Association. Please consider making a purchase of one or more items. Thanks for looking. Thank you ever so much for your purchases! 5. Take a look at our LINKS page! There are links there for the Newark High School Alumni Association, for Newark High School, and for the Yellowjacket Boosters who are raising money for Hoffman field lights and other upgrades. If you have any suggestions for other links that would be of interest, please contact the Webmaster. 6. Are you interested in keeping up with NHSAA activities? You can always visit their web site - http://nhsalumni.org. Would you like to be added to their e-mail list? If so, please subcribe to the NHS Yellowjackets Group at Yahoo Groups by visiting the group online - NHS Yellowjackets - or by sending an email message to NHS Yellowjackets. If you have any questions, please feel free to contact the Webmaster. Note from the Webmaster: I am looking for senior yearbook photos for the following classmates: Hugh "Sonny" Craig '67, Becky Buckson '68, Babs Johnson '68, Phillip MacInns '68, Wayne Massado '68, Grier Murray '68, Martha Pfeffer Dechene '68, Larry Smith '68 and, Mary Steele '68. Any assistance in getting a photo of those listed (a scan from the Senior's section of the yearbook) would be greatly appreciated. I will then post the photo on the appropriate In Memoriam Page. Please share your photos of classmates. Either send them by email to our webmaster, Mike Dutton, or post them yourself on our PHOTO ALBUMS page! Your submissions are greatly appreciated!!! The NHS-CarpeDiem site may be updated frequently, occasionally even daily, when necessary. Otherwise, the site may not be updated for several months or years, between reunions. But rest assured the site will be here for your viewing pleasure! Please check back often, you might be surprised by the changes, updates or improvements! Who were these students? They graduated from Newark High School in 1966. 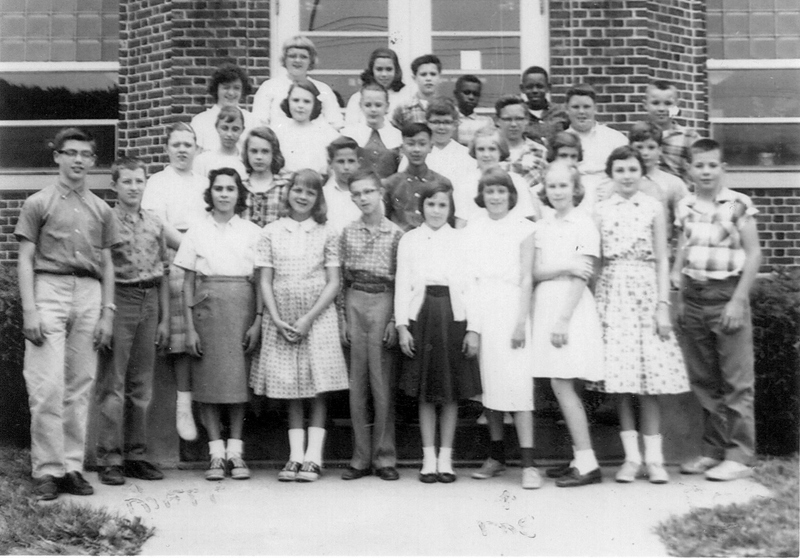 Can anyone name all of these students? Please let us know! Might be you are looking at a photo of yourself from 46 years ago!! Please sign our guest book! 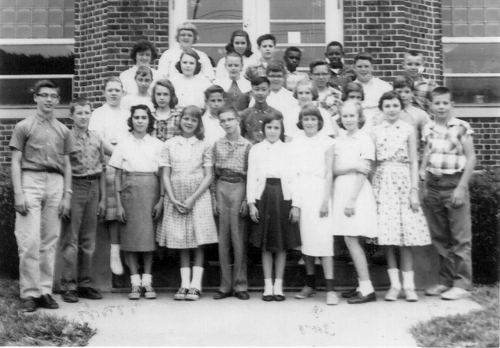 Also feel free to upload a couple of your pictures - back then and now - to the Classmates page. 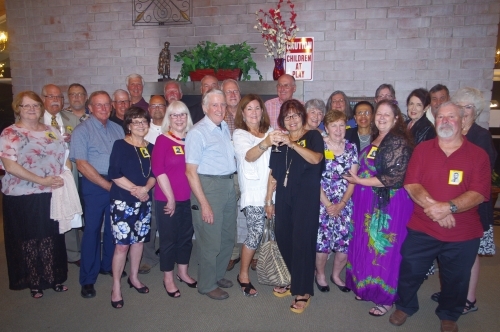 You may also upload photographs of the recent reunion activities to the PHOTO ALBUMS page. Thanks so much for visiting, please come back again!